The breathtaking coastal mountains and wide blue skies of Maple Ridge set the stage for Ridgemont. 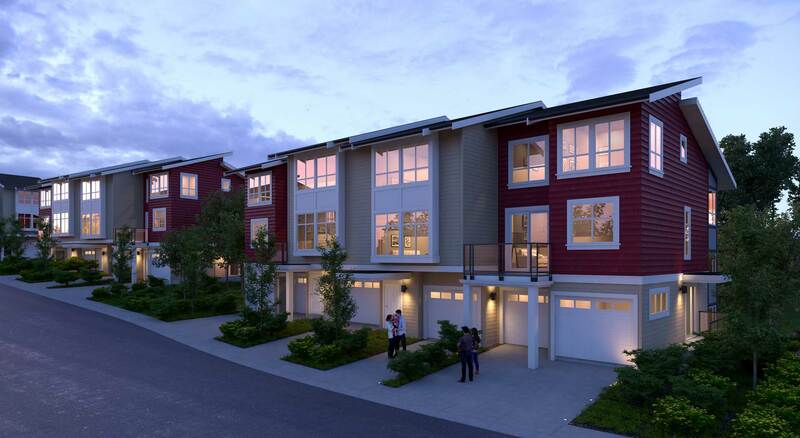 A collection of 3 and 4-bedroom townhomes designed for today’s family. Featuring spacious home layouts with parking for at least two vehicles, and a true “whole” family-oriented amenity building that acts as an extension for each and every home; Ridgemont’s purposeful design is second only to its spectacular surroundings. Bordered by protected parkland and lofty treetops, reputable Fraser Valley builder, Nordel Homes, has combined their passion for West Coast architecture with elements inspired by the community’s natural setting. Thus, coming up with a look that integrates nicely into this already beautiful location. Register today for up to date information on Ridgemont. By submitting this form you consent to receiving electronic messages from Fifth Avenue Real Estate Marketing Ltd. and Nordel Developments with updates on Ridgemont and other projects that may be of interest to you. If you wish to stop receiving this information at any time simply click unsubscribe at the bottom of any email received or contact Fifth Avenue’s privacy officer at homes@fifthave.ca with unsubscribe in the subject line.